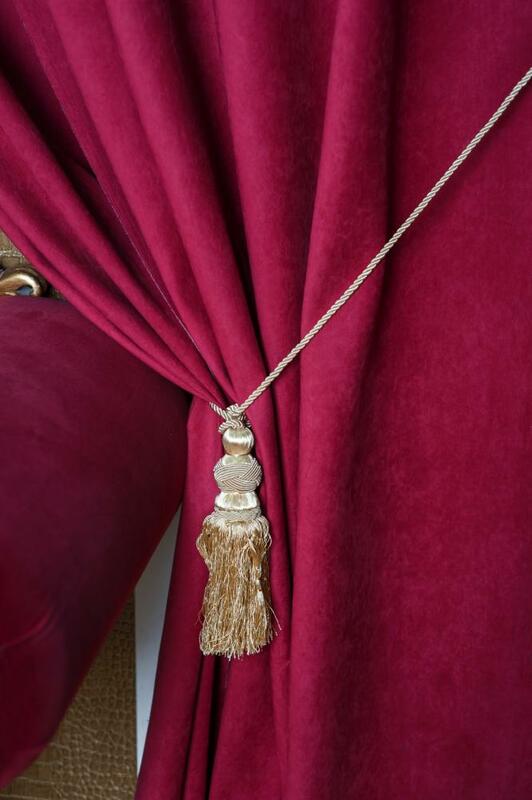 Spruce Up the Design of Your Draperies with High-Class Trims & Fringes! tassel fringes, braid fringes, brush fringes, bullion fringes beaded fringes, ball fringes, onion fringes, loop fringes and more. All our trims and fringes come on orders and are perfect for accentuating the simplest of decorative fabric projects for draperies. We know how to add flair to any type of drapery, and have the best decorators and designers, to help you out with your home decoration project. We carry all the leading brands of trim and fringes manufacturers in the industry, including Trend, Vervain, and Schumacher. We house an extensive collection of designer trims and fringes, which include different styles that are perfect for indoor and outdoor uses. Whether you want beaded trims, braided trims, fabric trims, braid and tiebacks, cords and gimp, ribbon, lace, and more, we have got it all. The best part about our trims and fringes is that they are designed to enhance any type of home décor and transform your upholstery or draperies into a work of art. We will also help design new types of trims and fringes for your draperies, so that they can improve the overall look and design of the other furnishings in your home. Apart from that, you can take advantage of our custom designer trims and fringes, as they are available at affordable rates.